Lab Series Skincare for Men’s newest product on the market is a 4-in-1 face treatment designed to moisturize, calm irritation, control shine and minimize fine lines & wrinkles. That ‘s a whole lot to ask for in one product! But for many of us, who don’t like our bathroom counter space filled with multiple skincare products this could solve the problem. 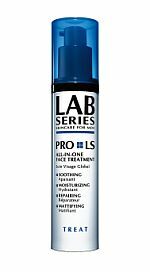 The Pro LS is a light-weight cream comes out of a pump system that allows for just enough to come out each time. 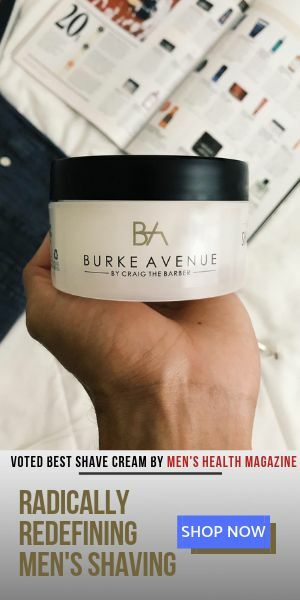 The “fast-absorbing” claim is spot on, and it does a great job moisturizing the skin and controlling shine. I have however seen better performances out of their balms as far as calming irritation goes. But if you already have a favorite balm then this aspect of Pro LS will be an added bonus. Besides, you can’t go wrong with more when it comes to skin irritation.